Imagine a tap that instantly reacts to the slightest touch and remains spotless. Well, this is a reality with GROHE’s Minta Touch, which uses EasyTouch technology that automatically reacts to even the gentlest touch. 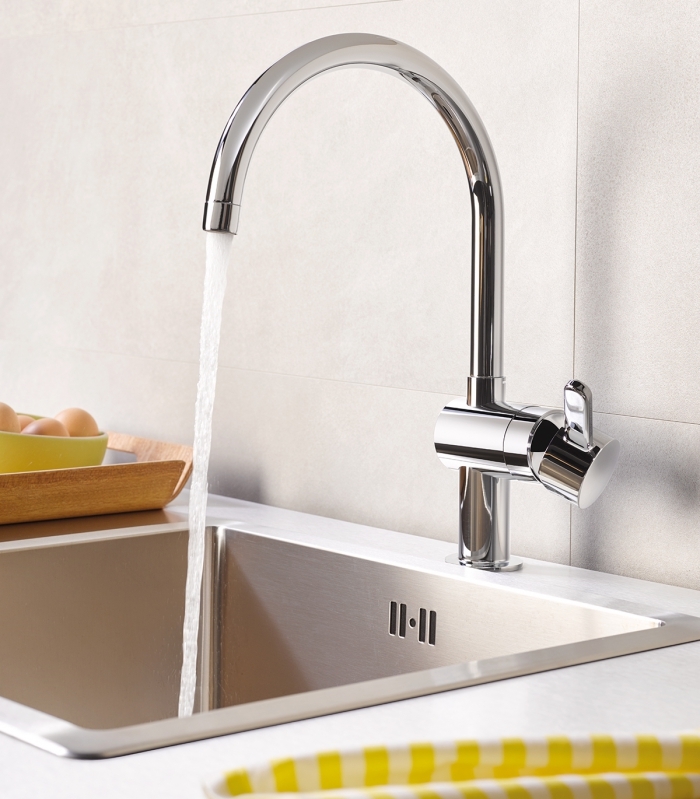 With a simple tap of your wrist, back of your hand or forearm the GROHE Minta Touch activates the water flow on or off. The immediate consequence is that the faucet remains clean and hygienic at all times. Additionally, if your hands are clean, you can use the manual lever to adjust the water flow and temperature of the GROHE Minta Touch. This hybrid faucet intelligently unites two operating functions and, as an added safety feature specifically with the little ones in mind, the EasyTouch function only operates with cold water. However, if warm water is your preference, the Minta Touch can be upgraded with GROHE’s Grohtherm Micro – a small thermostat located underneath your sink that provides optimal temperature with no risk of scalding. GROHE’s Minta Touch is available in a variety of designs, including the curved C-shape, the striking L-shaped swivel tubular spout and includes a pull out mousseur and pull-out sprayhead. All GROHE’s Minta Touch mixers are available in a high-shine chrome finish, which remains that way because of GROHE’s unique StarLight® technology. The GROHE Minta Touch is available at stockists nationwide or simply log onto Grohe online to purchase or for more info.